We’re Four! Let’s Eat Cake! June 15, 2006 / Jonathan Waite / Comments Off on We’re Four! Let’s Eat Cake! While things are simmering on medium heat in the world of Alternate Reality Gaming (we are in the midst of an in-depth look into Catching The Wish, so look for that in the next few days), we’d like to toot our own horn for a brief moment. In June 2002, “The Godfather” Steve Peters launched this site as a place where people could hang out and talk. Today, the Alternate Reality Gaming Network is not only alive and kicking, but taking great strides towards the future. 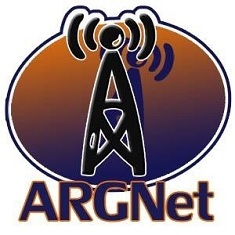 There are a few projects that are being explored for development, including the ARG Archive and podcast interviews, so we hope our fifth year of existence proves to be another great year. Thanks go out to all of you who keep coming back and supporting our site!